This Revolutionary War Saber Sword features a 24 in. carbon steel blade, brass hand guard and pommel, complete with leather scabbard with brass fittings. 24 in. blade, 30 in. Overall. I was very impressed with the sword. was well made for the cost and had good weight to it. 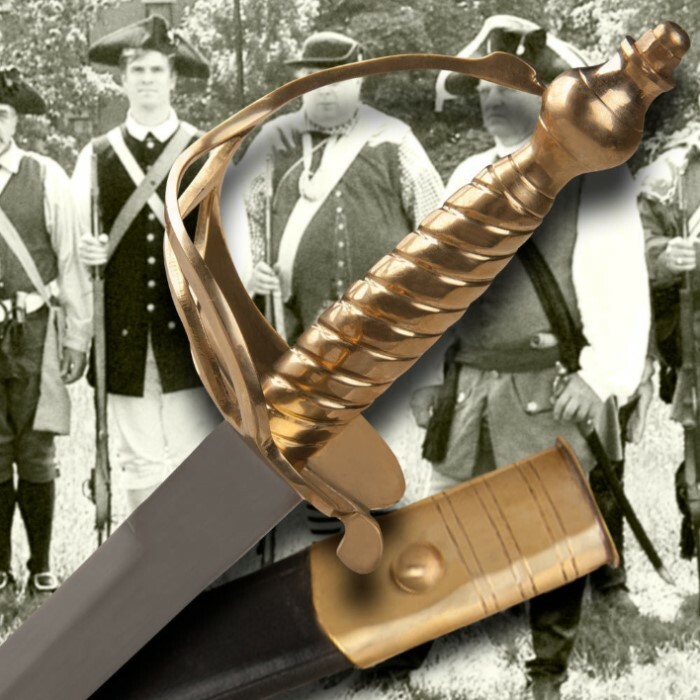 The Revolutionary War Saber Sword. At first i bought this sword to fill in a period of history i was missing in my collection. I was not thrilled when ordering,but the price for this period piece was right.Well,when i received it i was very surprised and pleased. It is beautiful in it's simplicity and incredibly well made. I wish it was razor sharp but still 5 stars. The sword I got is for a left hander but other than that and the made in India stamp on the blade I'm happy with the sword. I give this sword 5 stars for its overall embodiment of a 18th Century military hanger, however it has a short coming, the guard. I have relatively average hands and this sword's guard is tight on my first knuckle. The positives are the weight, blade and its ability to take an edge, and the steel seems to be of a higher quality compared to most swords that sell for the MSRP. 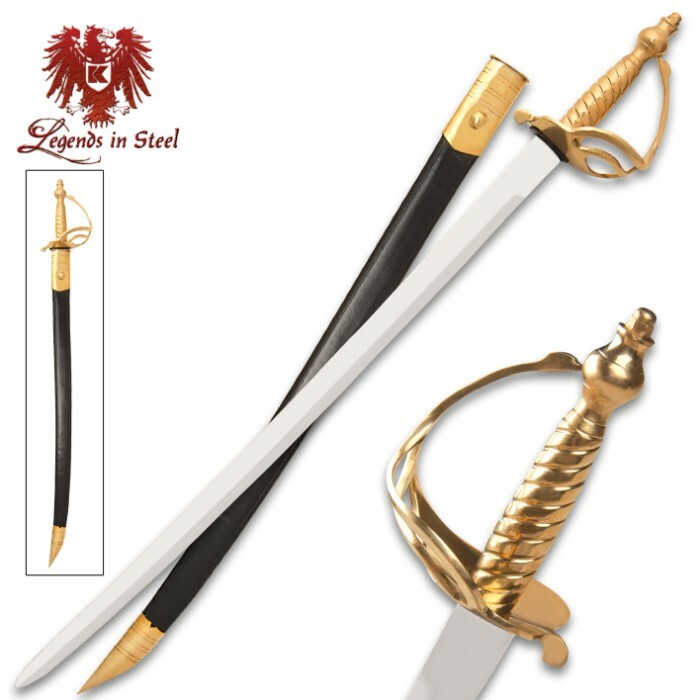 i bought this sword for myself and three other family members to utilize with uniforms for the sons of the American revolution. the sword is well made and definitely worth the price. i have seen the same sword on the internet, averaging $89.00.